An internal view of the XJet machine. Courtesy XJet. Ah, 3D printing: It held such promise in the consumer space—then took a nosedive in 2016, dragging some major players with it. But is it that surprising? After all, additive manufacturing is a professional manufacturing technology: If you can’t produce a 3D model, you can’t hope to print a 3D product. So it’s about time that industrial additive manufacturing has its day (or year). 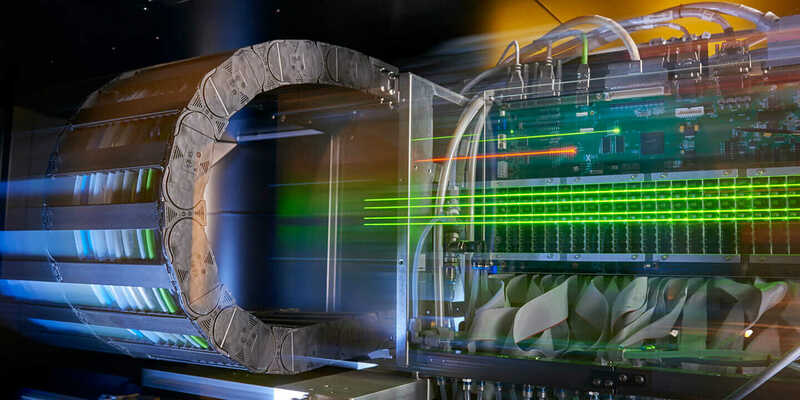 The technology has been somewhat slow to take off in the greater manufacturing industry, but that started to change in 2016 with the rise of additive metal manufacturing and a significant investment by GE in the additive-metal world. Ever so slowly, additive is starting to act more like every other manufacturing technology, which means it’s a part of an integrated production line. Now, finally, you’re able to work with many of the same companies as you would with other manufacturing technologies—and that means you’re starting to have a lot of choices in software, materials, and machines. This year is poised to build upon the significant headway that the industry made in 2016. Here are five industrial additive manufacturing trends you’re likely to see in 2017. Concept Laser’s new metal-printing machines enable automated, interlinked industrial series production, as part of its AM Factory of Tomorrow vision. Courtesy Concept Laser. Industrial additive is seeing a shift from prototype to production, which is a sign of heightened industrialization. For the past few years, trends in additive manufacturing have focused on prototyping tools. But as manufacturers start moving into production environments, they need much more efficient and reliable processes in place. If a prototype doesn’t work out, it’s as simple as printing it again—but if a run of production parts fails, it’s a huge problem. Now, instead of having one to three additive machines in a factory, companies are working to install anywhere from 10 to 100 machines. Several major companies—including Additive Industries, EOS, and Concept Laser (GE’s recent acquisition)—are making automation systems (read: robots) to operate between machines, switching functions for each area in the production line. Automating some of these functions to take humans out of danger zones helps make the manufacturing process more repeatable and industrial. When it comes to repeatable processes, consider a company like Michelin, which prints close to a million metal tire molds per year. It’s not printing the tire itself, but a component that helps realize the end product. More of that approach—printing the thing that makes the thing—is certainly in the cards this year. And one final nod to industrialization is consolidation within the industry. GE’s recent moves are a big part of this, and it’s a sign of the industry’s genuine acceptance. 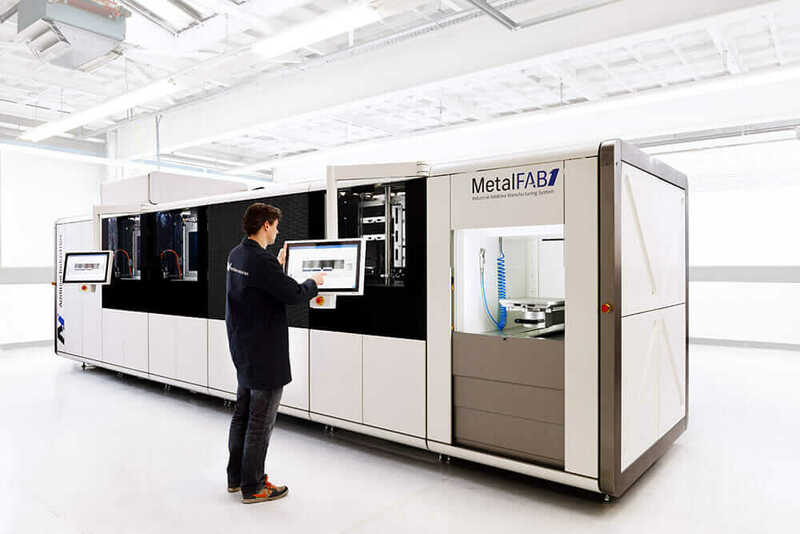 Additive Industries’ MetalFAB1 industrial 3D metal-printing system is one of the largest metal printers available. Courtesy Additive Industries. Building on the huge shift toward metal-printing machines in 2016, companies continue to innovate their technologies to allow for more flexibility in materials. XJet, for example, is suspending (or “jetting”) tiny particles of metal into a liquid, instead of using lasers to melt metal powders. This changes the material’s properties, allows for a much finer metal grain structure, and thus presents greater potential for printing multimaterial metals. This is a completely different approach to metal 3D printing and a potential boon for generative design because the nanoparticle-jetting process enables printing much more complex internal structures and supports. 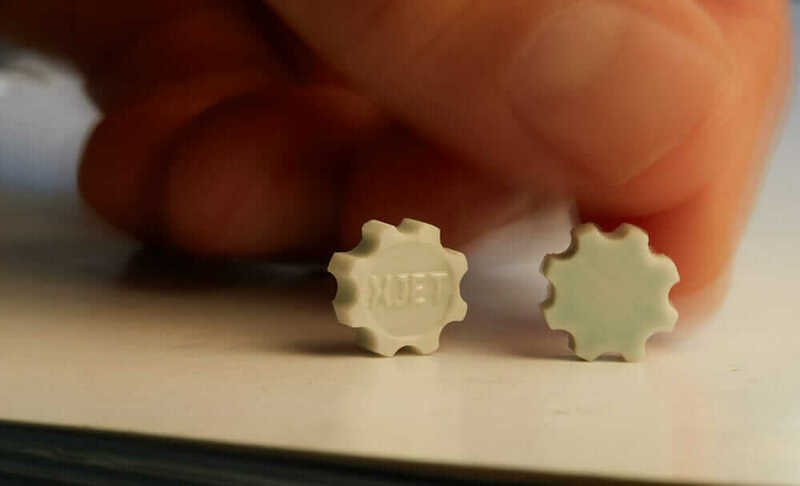 What XJet is doing for metals, a company called Inkbit is doing for polymers. Its inject-head printing system uses conductive inks with high resolution, good material properties, and full-color polymer printing. This is paving the way for not only functional polymer parts but also renewed interest in high-value engineering and performance polymers. In the automotive industry—where highly engineered plastics can solve for cost-conscious, high-performance applications—this technology could be especially useful. A similar additive manufacturing trend is the rise in application-specific materials. Traditionally, if a manufacturer has a design problem, one solution would be to develop a custom material formulation specifically for one part. (Nike, for example, uses thousands of custom plastics.) But with additive, manufacturers generally have only off-the-shelf materials to choose from. Now, though, bigger players like GM and BMW are starting to request specific formulas for additive, and materials companies are taking on that challenge. Ceramics is also starting to become a bigger additive player, and it will likely be the next wave of development for mold inserts and detailed components in machines. XJet is one company delving into ceramics printing. Courtesy XJet. In manufacturing, adoption of any technology is driven by a product lifecycle. And for the active additive industries—primarily automotive, aerospace, and heavy machinery—that product lifecycle can be three, 10, or sometimes even 20 years. These industries won’t start by printing entire cars, but they could start with an area like tooling. So for a car that will come out in three years (the first product lifecycle), two or three parts will be produced with additive. Then, when the second generation comes out in 10 years, one-third of the car will include additive parts—because the automaker will have proven additive technology and know how to use it effectively. At Autodesk University 2016, GE said that 25 percent of its products will be impacted by additive by 2020. Impacted is an interesting word because it doesn’t mean that entire products will be made using additive technology, but it may mean using additive for tooling or including one small printed part in a larger product. Keep an eye on the tool-and-die industry. With the broader adoption of tooling comes additive technology able to produce small, complex, and expensive products. Those are mainly in the medical and dental fields today, with more than 15 million hearing aids printed to date and printed dental appliances, from aligners to crowns, becoming increasingly prevalent. The aerospace and automotive industries are soon to follow the small, complex, and expensive additive space. These complex parts show the value of additive manufacturing in the market while also easing the manufacturers into using the technology. For the time being, these short-run parts will remain expensive. Once more machines and additional materials are available to support these trends in industrial additive manufacturing, prices will start to come down. For additive manufacturing to succeed, it is essential that hardware, materials, and software are tightly aligned. Existing software built for subtractive processes does not enable designers and engineers to optimize for additive processes. But new types of software coming to market, such as Autodesk Netfabb, address additive processes with optimization, simulation, and build preparation for specific machine and material combinations. This software also requires a new file format to translate and track the rich information required for additive technologies. The 3MF file type offers the hope to unlock the potential of both current and future additive machines. This file type is an extension of the STL file in that it provides a representation of the model using points and triangles—but 3MF offers extensions for things like multimaterial gradients, lattice structures, and machine properties, as well as the extensibility to add properties not available with existing technology. Autodesk is a founding member of the consortium developing and adopting the format along with 3D Systems, GE, Materialize, Microsoft, and plenty of others.